If we desire optimum physiological health, power, strength and endurance, we must fully embrace the importance of maintaining a proper "acid alkaline balance" in relation to the acid alkaline theory of eating acid alkaline foods, according to proper food combining principles. This way we can possess millions of healthy body cells that are full of energy for optimum physiological and biological function of our body. We must avoid acid-forming diets that will lead to indigestion and acidosis. They will rob us of our cellular energy required to attain the ultimate health, power, strength, and endurance that our body is capable of possessing. An unhampered or unimpeded digestion may be guaranteed only to the extent to which we guard our stomachs against food combinations and mental and physical conditions which disturb and impair digestion. A stomach that is reeking with decomposition will not supply to the body the "calories" and "vitamins" originally contained in the food eaten. Following Proper Food Combining Rules will allow you to make excellent Food Combining Recipes that would constitute a very healthy Food Combining Diet. AFood Combining Chartis available for easy referencing. 1. Never eat carbohydrate foods and acid foods at the same meal. The enzyme, ptyalin, acts only in an alkaline medium; it is destroyed by a mild acid. Fruit acids not only prevent carbohydrate digestion, but they also favor their fermentation. Oxalic acid diluted to one part in 10,000, completely arrests the action of ptyalin. 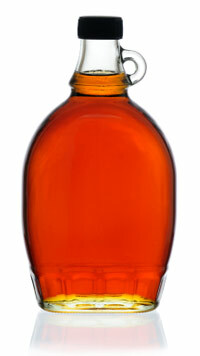 There is enough acetic acid in one or two teaspoonfuls of vinegar to entirely suspend salivary digestion. 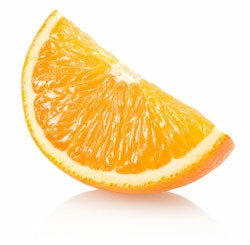 Dr. Percy Howe, of Harvard, says: "Many people who cannot eat oranges at a meal derive great benefit by eating those fifteen to thirty minutes before the meal." It appears that Dr. Howe does not understand why people cannot take oranges with their meals. I have put hundreds of patients, who have told me that they could not eat oranges or grapefruit, upon a diet of these fruits, and they found that they could take them. Such people are in the habit of taking these foods with a breakfast of cereal, with cream and sugar, egg on toast, stewed prunes and coffee, or some similar meal. Tomatoes should never be combined with any starch food. 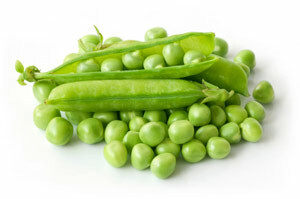 They may be eaten with leafy vegetables and fat foods. The combination citric, malic and oxalic acids found in tomatoes, (which are released and intensified by cooking), is very antagonistic to the alkaline digestion of starches in the mouth and stomach. They should not be used on salads at a starch meal. In cases of hyperacidity of the stomach, there is great difficulty in digesting starches. Much discomfort is caused by eating them. They ferment and poison the body. Acid-starch combinations are very rare in nature—the sour apple coming nearest to being such a combination. 2. Never eat a concentrated protein and a concentrated carbohydrate at the same meal. This means do not eat nuts, meat, eggs, cheese, or other protein foods at the same meal with bread, cereals, potatoes, sweet fruits, cakes, etc. The Earl of Sandwich is credited with having invented the sandwich—a modern dietetic abomination. The hamburger, a similar abomination, is also a modern dietetic innovation. Egg sandwiches, cheese sandwiches, ham sandwiches and similar protein-starch combinations are of recent origin. Dr. Tilden used to say that, "Nature never produced a sandwich." How true are his words! The digestion of carbohydrates (starches and sugars) and of protein is so different that when they are mixed in the stomach they interfere with the digestion of each other. An acid process (gastric digestion) and an alkaline process (salivary digestion) can not be carried on at the same time, in an ideal way in the stomach. In fact, they cannot proceed together at all for long, as the rising acidity of the stomach contents soon completely stops carbohydrate digestion, and this is followed by fermentation. Dr. J. John Marshall showed that undigested starch in large amounts in the stomach absorbs pepsin and, thus, prevents the acid from entering into combination with the proteins, thereby increasing the free hydrochloric acid. 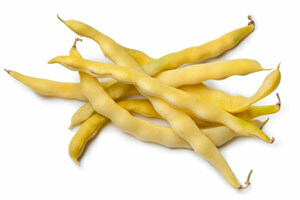 Beans contain about 25% protein and approximately 50½% carbohydrate or starch. This, doubtlessly, accounts for their difficult digestion and the readiness with which they ferment. Prof. McCollum says that, navy beans have a peculiar and indigestible carbohydrate. But McCollum knows nothing of combinations. Beans are a "bread and meat" combination, and each of their two principle constituents requires entirely different processes for digestion. The starch of the bean lies in the stomach, while its protein is being digested and, except under the most favorable of circumstances, ferments, producing gas and toxins. One of the best rules for eating, which I can offer you, is to eschew all beans. This does not include green beans, which contain little starch. Matured or "dried" beans, of all types, are known by everyone to quickly ferment when eaten, and produce much gas. The strong gastric juice of the stomach, which is engaged in digesting proteins, impedes starch digestion. Pythagorus advised that, "We eat no beans." We subscribe to that plan, making an exception only in the case of green beans. Candy, sugar, etc., greatly inhibit the secretion of the gastric juice and markedly delay digestion. Consumed in a large amount at a time, candy is very depressing to stomach activity. Whatever may be true with reference to the effects of the starch-protein combination upon the digestion of protein, it is certain that this combination is disastrous to starch digestion. There is no doubt that the gastric juice destroys the ptyalin of the saliva and stops salivary digestion. 3. Never consume two concentrated proteins at the same meal. Do not eat nuts and meat, or eggs and meat, or cheese and nuts, or cheese and eggs, etc., at one meal. Do not use meat and milk, or eggs and milk, or nuts and milk at the same meal. Indeed, if taken at all, milk is best taken alone. Dr. Gibson well expresses it thus: "The best way with milk is either to take it alone or leave it alone." An exception may be made to this in the case of acid fruits. The popular superstition that lemons, berries, cucumbers, etc., with milk is dangerous, has no foundation. Two proteins of different characters and different compositions, which call for different types of digestive juices, each of different strength and character, and being poured into the stomach at different times, should not be consumed at the same meal. One protein at a meal should be the rule. There is protein in everything one eats, but in most foods there is such a small amount that we ignore it when in combinations. All the rules for combining foods should be recognized and applied only to the concentrated starches, sugars, fats and proteins. 4. 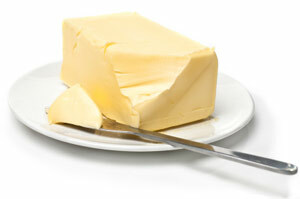 Do not consume proteins with fats. This means do not use cream, butter, oil, etc., with meat, eggs, cheese, nuts, etc. Fat depresses the action of the gastric glands and inhibits the pouring out of the proper gastric juices for meats, nuts, eggs, or other protein. Fats, mixed with foods, delay the development of appetite juice and diminish its quantity. 5. Do not eat acid fruits with proteins. This is to say, oranges, tomatoes, lemons, pineapples, etc., should not be eaten with meat, eggs, except with protein fats such as avocado, cheese or nuts. Prof. Pavlov positively demonstrated the demoralizing influence of both, fruits' acids, and the acid results of fermentation upon digestion. Acid fruits, by inhibiting the flow of gastric juice—an unhampered flow which is imperatively demanded by protein foods—seriously handicaps protein digestion and results in putrefaction. Nuts and fresh cheese are about the only protein foods that do not quickly decompose under such conditions, and these have their digestion delayed. Acids do not inhibit the flow of gastric juice, any more, or any longer, than does the oil of nuts or the cream of cottage cheese. Instead of orange juice, grapefruit juice, pineapple juice, etc. assisting in the digestion of proteins when taken along with these, as is taught in certain quarters, these acids actually retard protein digestion. 6. Do not consume starches and sugars together. Jellies, jams, fruit butter, sugar, honey, syrups, molasses, etc., on bread, cake, or at the same meal with cereals, potatoes, etc., or sugar with cereal, will produce fermentation. Hot cakes with honey or syrup are an abomination. The practice of eating starches that have been disguised by sweets is also a bad way to eat carbohydrates. If sugar is taken in, the mouth quickly fills with saliva, but no ptyalin is present. Ptyalin is essential to starch digestion. If the starch is disguised with sugar, jellies, jams, syrups, etc., the taste buds are deceived, and carbohydrate digestion is impaired. Monosaccharides and disaccharides ferment quicker than do polysaccharides, and are prone to ferment in the stomach while awaiting the completion of starch digestion. Sugar combined with starch results in fermentation. It means a sour stomach. It means discomfort. Those who are addicted to the honey-eating practice and who are laboring under the popular fallacy that, honey, which is a "natural sweet" that may be eaten indiscriminately, should know that this rule (not to take sweets with starches) applies to honey as well. Honey or syrup, it makes no difference which, with your hot cakes or cereals, or honey or sugar to sweeten your cakes — these combinations spell fermentation. White sugar, brown sugar, “raw” sugar, imitation brown sugar (that is, white sugar that has been colored), black strap molasses, or other syrup with starches means fermentation. Soda will neutralize the resulting acids; it will not stop the fermentation. 7. Eat but one concentrated starch food at a meal. The rule to consume only one starch food at a meal is probably more important as a means to avoid the over-consumption of various starches, than as a means of avoiding bad combinations. While the overeating of starches may lead to fermentation, there is no certainty that the combination of two starches will do so. 8. 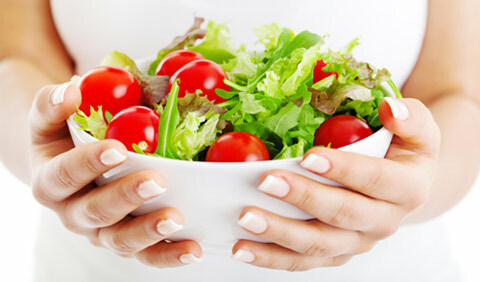 Eat sugars (fruits) and starchy foods at separate meals. The rule for combining various sugars, resulting from various food classifications such as starch or fruits, may result in indigestion, due to bad food combining practices that would lead to fermenting some of the sugars from these food classifications. The major reason for this fermentation process would simply be due to the various digestive times required to break these foods into sugars that the body would accept. An example of this rule would be the combination of acid-fruit sugars, which must be digested within an hour, with sweet fruit sugars such as cherries, dates, figs, raisins, and grapes, that require up to three hours to be properly digested. The sugars from the acid-fruits would be held up, waiting up to three hours or more to be digested, and would ferment, because they were not properly digested within their allotted time frame of one hour. Starchy foods require two hours or more, before the various digestive stages convert the starch to a sugar that would be accepted by the body cells as nutrients. Again, the sugars from the acid-fruits would be held up while waiting to be digested for up to two hours or more, and would ferment. In addition, the acids from these fruits would destroy the starch enzymes, and whereby starch digestion would be suspended. 9. Do not consume melons with any other foods. 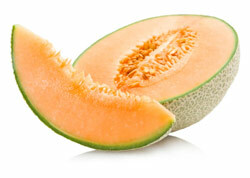 Watermelon, muskmelon, honeydew melon, pie melon, casaba melon, cantaloupe, and other melons, should always be eaten alone. I know of no physiological reason for this rule. We do know that these foods decompose very quickly in the stomach and are almost sure to cause trouble if eaten with other foods. If eaten alone—a meal made of them—so that they are quickly passed out of the stomach, they form excellent and delightful foods. People, who complain that melons "do not agree" with them, will find that, if eaten alone, but not between meals, they can enjoy them without an aftermath of discomfort. Because of the ease with which melons decompose, they do not combine well with any food, except, perhaps, with certain fruits. 10. Milk is best taken alone, or let alone. Milk is the natural food of the mammalian young, each species producing milk peculiarly and precisely adapted to the various needs of its own young. It is the rule that, the young take the milk alone and not in combinations with other foods. Milo Hastings once objected that calves will take milk and, a few minutes later, eat grass. But, we are not to forget that the calf has a few more stomachs than we and can do this without difficulty. Milk acts as a gastric insulator. Its cream inhibits the outpouring of gastric juice for some time after the meal is eaten. Milk does not digest in the stomach, but in the duodenum, hence, in the presence of milk the stomach does not respond with its secretion. This prevents the digestion of other foods introduced along with the milk. Perhaps milk could be taken with starch, if it was pure starch, but no starch food is pure starch. The use of acid fruits with milk does not cause any trouble, and apparently does not conflict with its digestion. A properly combined meal is properly combined throughout the whole course of the digestive tube; while, an improperly combined meal is probably wrongly combined throughout the whole course of digestion. A few facts may help to make this clear. Prof. Pavlov says, "the existence of fat in large quantities in the chyme restrains in its own interest the further secretion of gastric juice, and thus impedes the digestion of protein substances; consequently a combination of fat and protein-holding food is particularly difficult to digest." While the processes of digestion in the intestine all take place in an alkaline medium and it is logical to assume that combinations make little or no differences in the intestine, Dr. Cason states that the digestion of starches in the small intestine when accompanied by proteins produces a distinct stasis. This would indicate delayed digestion. It seems certain that the putrefaction and fermentation that begins in the stomach as a consequence of wrong combinations will continue in the intestine. Good salivary and gastric digestion would seem to be essential to good intestinal digestion. See Results of Wrong Food Combinations.